One annoying trait that you or your partner has is snoring. All you want to do is get a good night's rest, and you are either interrupted by your snoring partner- or if you are the one who has an issue with snoring, you may be woken up a few times by your partner waking you up only to tell you to stop snoring. Additionally, snoring is one reason that couples sleep in separate bedrooms and that is not very good for their relationships. It is not like any chronic snorer can help it. Many people do snore, and it is out of their control. Those who are likely to snore are men, pregnant women, as well as overweight people. Those that have narrow nasal passages, and are on certain medications, those who smoke, are sick, or have allergies are more likely to snore as well. And, the older you become, the likelihood of you becoming chronic snorer increases. However, with any problem that is around, there is a solution. And, the solution to chronic snoring is a product that is created by the Good Morning Snore Solution. 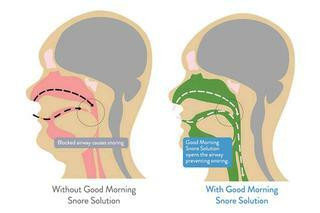 How Can The Good Morning Snore Solution Product Help Chronic Snorers? The Good Morning Snore Solution (GMSS) is a type of mouthpiece called the tongue restraining (TRD) or tongue stabilizing devices (TSD). According to NIH, research has indicated that TRDs are able to help chronic snorers stop snoring, and there are very few side effects noted among those who do use these products. And, those who have used these mouthpieces that are meant to help the snorer to stop snoring by GMSS have been very happy with how the product has helped them. GMSS's products have helped snorers get a better quality of sleep each night due to the fact that they are not interrupted by their snoring. Additionally, this device has helped strengthen relationships due to the fact that the annoyed partner no longer has the need to purposely wake up the snorer only to tell him or her to stop snoring. And, due to that fact, GMSS has helped couples sleep in their same room. You are likely wondering how The Good Morning Snore Solution was Established. Let's look into that further. Dr. Nancy Markley of Calgary, Alberta who has a Ph.D. in molecular biology, and has been known to help commercialize and develop medical technology over the years. 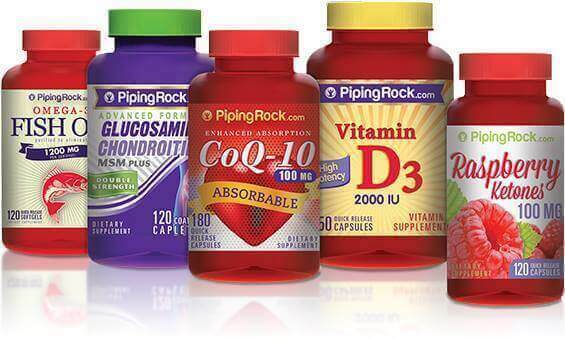 Dr. Markley decided to open up her practice and had started selling health-related products. And, one of the products that she brought into the market was a sleep health-related product in 2005. That product was one that was created by a renown dentist and sleep researcher Dr. Leslie Dort in Calgary, Alberta. This doctor is the one who created the snore product from GMSS with Dr. Markley's scientific help. That said, they created a device that would once and for all help snorers stop snoring in a holistic way. And, with this unique snore product, many lives have been changed for the better because of the benefits the product offers. However, before getting into that part, continue reading this Good Morning Snore Solution review to learn about how this product works. Before the benefits of this snore product are outlined, you will need to know how the GMSS snore product works. You may be aware that the majority of snore products force you to keep your jaw open because of its hard plastic material. Additionally, the mechanics of how these mouthpieces work is complicated. However, with the GMSS snore product, the approach is much more gentle than the average mouthpiece. The GMSS snore product provides a tongue stabilizing strategy by moving the tongue forward in a gentle fashion so that airways are not blocked. Blocked airways are the causes of snoring. This product is not only effective, safe, and affordable, but it works and has been proven to work after years of clinical testing. That said, the biggest benefit that anyone would get from utilizing the GMSS snore product is that they will get a restful sleep without any interruptions by an irate partner- or being interrupted from their own snoring. And, in order to maintain good health, and be as productive as possible is to get a restful 7 to 9 hours of sleep each night. When you are properly rested, you will have a strengthened an immune system. That is because when you sleep, your body is repairing itself and recharging. Without that opportunity, your overall health will decline along with your productivity. Additionally, couples that are trying to achieve a pregnancy will have better odds of doing that quickly if they receive good-quality sleep. That is because you need to be sleeping enough in order to maintain good reproductive health. And, you do not have to worry about putting anything that is made of questionable components in your mouth. That is because the GMSS snore product is made of plastic resin which many other dental grade products is made of as well. The plastic resin is BPA and BHA free, and FDA approved. The GMSS snore product is also easy to use, and now let’s learn about how to use it properly. Before you are ready to go to bed, all you need to do is insert the GMSS snore product into your mouth. And, it is comfortable to wear. You can compare it to an inverted baby pacifier because your tongue will into the bulb. And, the outer edge will rest in front of the gums and teeth. This way, it will allow your tongue to stay where it is without causing any airway blockages. That said, if your tongue is fitting comfortably in the bulb, then it will do its job. However, you have to make sure the product is cleaned before using it. Always make sure the product is cleaned by using a certified cleaning solution that is used to clean dentures, sports mouth guards, and retainers in conjunction with cold water. Do not use warm or hot water or any potent cleaner or else it will damage the product. Do not trim, heat up, or cut the product or else it will damage it and will be hazardous for you since this mouthpiece is designed to stop you from snoring in a holistic, safe, and a comfortable way. What Is The Good Morning Snore Solution Young Adult Mouthpiece? If you are between the ages of 18 to 26, and if you know you are a chronic snorer, then you will need to purchase the Good Morning Snore Solution Young Adult Mouthpiece. That is because it is slightly smaller than the main product, and after years of testing, this is the perfect fit for young adults that snore constantly. You can save 10% on Young adult mouthpiece using Good Morning Solution coupon code 'SHOP10'. However, there are some side effects and risks that come with using the GMSS snore product that you must be aware of. Users have stated that by using the GMSS snore product, they found themselves to salivate excessively which is a nuisance. However, once you become used to the product, this side effect should level out as you become more comfortable. If the excess salivation happens too often, then you may want to start using the product for shorter periods of time until you become used to it. However, if you have other mouth devices that you use at night such as a retainer or a mouthpiece for grinding, then you must consult with your dentist before using the GMSS snore product. And, if you have a cold or allergies, you will want to refrain from using this because it could interfere with your breathing which can be quite serious. Even if you use a good-quality decongestant, it is best to refrain from using the GMSS snore product until you are healed. You will also need to consult with your doctor and dentist if you have asthma, frequent respiratory problems, as well as other health problems before purchasing this product. You could also experience tooth movement from using this product, and dental pain and soreness. That said, if you have had extensive orthodontic work, you will also need to consult your orthodontist before using this product. If you are given the green light by your doctor and dentist to use the GMSS snore product, and you are under the age of 27, you will want to make sure that you purchase the Good Morning Snore Solution Young Adult Mouthpiece. You may also be wondering if there are other products around that are similar to the GMSS snore product. Let's take a look at that. The GMSS snore product is not the only mouthpiece that stops you from snoring. There are other similar products, and let’s take a quick look at how they compare to the GMSS snore product. ZQuiet - The ZQuiet mouthpiece works the same way as the GMSS snore product, and it is a little less expensive. However, the materials that this device is made of may not chemical-free as there is very little information about what the ZQuiet is composed of. Before purchasing any product to use in your mouth, you will need to know if the materials are safe to put into your mouth. SleepTight Mouthpiece - The SleepTight Mouthpiece is GMSS snore product alternative that is also slightly less pricey, however again, it is unknown what kind of materials are used for this product. You do not want to put something in your mouth that has questionable materials in it. Air Snore - The Air Snore product is another alternative to the GMSS snore product. However, even though it is somewhat less pricey, it is not as comfortable to wear as the GMSS snore product. It is meant to hold your lower jaw in a forward position which makes using this product uncomfortable. The cleaning instructions are also not as straightforward with this product as it is with the GMSS snore product. That said, the GMSS snore product may be more costly than these alternatives, however, you also know that you are not putting any strange materials in your mouth. And, once you become used to using this product, you will find it is very comfortable. And, the cleaning instructions are very simple, and that is what makes this product superior as well. Other points to be aware of with the GMSS snore product is that it will last you a year on average, and even though this piece cannot be worn with retainers, it can be worn with dentures. And, also remember that this product is not meant to replace your need with a CPAP because it is only meant to stop you from snoring. However, this product can be used if you have mild to moderate sleep apnea. Some professionals do recommend that you use mouthpieces like the GMSS snore product for the treatment of obstructive sleep apnea. Additionally, the GMSS snore product is registered with the European Commission, the ARTG as a class I medical device, the ARTG as a class I medical device, and Health Canada. This means, this product can treat mild to moderate sleep apnea and can be purchased over the counter. It is also a device that doctors in the USA prescribe to treat chronic snoring. However, before you stop using your CPAP machine and decide to use this product instead, you must talk to your doctor first. In severe sleep apnea cases, this product may not be helpful. Now you are probably wondering where you can purchase the GMSS snore product. You will be able to purchase the Good Morning Snore Solutions product from Amazon, however, you are better off with purchasing this product directly from the Good Morning Snore Solutions website. With GMSS coupon 'SHOP10' you can save 10% off your order at Good Morning Snore Solution website. They may have new products coming along the way, and if you are on their mailing list, you will be the first to know if they have any special deals and discounts that you can take advantage. That said, if you know that you are a chronic snorer, and you do not have any of the risk factors noted above, then this is the perfect product for you. it is best to discuss it with your doctor before making the purchase anyway. However, once you become comfortable with using this mouthpiece- you will be glad you have gotten the GMSS snore product. You will no longer have problems with snoring, and your partner will no longer be annoyed with you. Additionally, this product is a blessing for many couples whose relationships were tarnished due to chronic snoring.